We looked at the top 12 Pet Vacuums and dug through the reviews from 134 of the most popular review sites including BestReviews, Trusted Reviews, New York Times Wirecutter, TechHive, PC Magazine, Gear Brain and more. The result is a ranking of the best Pet Vacuums. Our experts reviewed the top 12 Pet Vacuums and also dug through the reviews from 134 of the most popular review sites including BestReviews, Trusted Reviews, New York Times Wirecutter, TechHive, PC Magazine, Gear Brain and more. The result is a ranking of the best of the best Pet Vacuums. With several useful accessories at a great price point, this model is definitely the one to beat, coming in as the top overall recommended choice and the best value. This canister/upright hybrid has the suction power to extract animal hair from carpeting. It also has the versatility to handle hardwood and tile flooring. DWYM Home Experts plus Nerd Wallet, Tech Gear Lab and 5 more. Along with user reviews from . "Falls over easily, average reach." This handheld pet vacuum is surprisingly powerful for its size. It also provides pet owners with the ability to reach remote areas and heavy traffic zones, such as staircases. DWYM Home Experts plus Modern Castle, Vacuum Cleaner Advisor, Best Reviews Guide and 1 more. Along with user reviews from Amazon, Walmart, Best Buy and Target.
" The Bissell Pet Hair Eraser cordless handheld offers powerful suction and lifting power for both pet hair and more." "The recharge time is too long and as a result several lament that you can`t swap out the battery. It is always nice to have a second charged battery on hand so you can swap it out while you..."
This low-profile robot vacuum is ideal for removing loose pet hair, flea dirt and dander from hardwood and other solid flooring. While not strictly a pet vacuum, it has the agitation power to extract pet hair from low-pile carpeting. DWYM Home Experts plus New York Times Wirecutter, BestReviews, TechHive, PC Magazine, Gear Brain and 2 more. Along with user reviews from Amazon and Target.
" The easiest robot to own runs quieter and fits under more furniture than any others, and thanks to the nimble, persistent nav system, it will rarely need your attention"
"Due to its compact size, filters may need to be cleaned more frequently than some larger models." This upright vacuum practically defines cyclonic power. It provides a wide path for more efficient vacuuming on thick carpeting. The bagless design may be an issue for some pet owners, however. DWYM Home Experts plus Top Ten Reviews, Modern Castle, Best Reviews Guide, Tech Gear Lab and 3 more. Along with user reviews from Amazon, Walmart and Best Buy.
" The wide cleaning path means fewer passes are required for cleaning large carpeted areas." "Smaller ball means less suction and limited wand maneuverability." We identified the majority of the pet vacuums available to purchase. 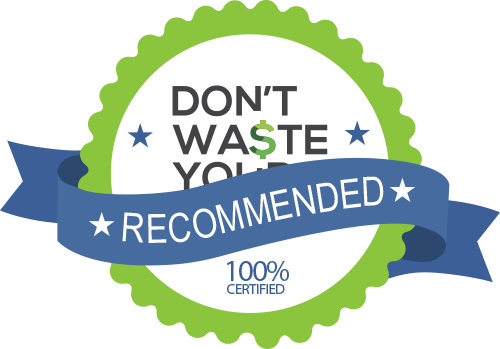 Reviews from our DWYM category experts and analysis of some of the most respected sources including: BestReviews, Trusted Reviews, New York Times Wirecutter, TechHive, PC Magazine. We also incorporate user reviews from the leading retailers including Amazon, Target, Best Buy, Walmart, Home Depot, Product Review and 6 others. This unit has a pet hair attachment with stiff bristles that make it even more useful for cleaning your upholstery. The stiff brush provides more agitation for picking up more debris in a single pass. Fantastic cleaning power. Easy to use and easy to handle. The swivel steering technology allows for easy maneuvering of the unit for cleaning every inch of your home. Falls over easily, average reach. The cord has to be wrapped by hand around the vacuum cleaner’s bracket, whereas many rivals have self-windup cords. The cord cannot be retracted and storage unit has space for storing only two attachments. The machine is not noisy and that it is easy on the wrist due to its very light weight. The recharge time is too long and as a result several lament that you can`t swap out the battery. It is always nice to have a second charged battery on hand so you can swap it out while you put the depleted one on charge. Traditional vacuum cleaners have always been called into service to remove pet hair, flea dust and dander, but the results haven’t always been pretty. Pet hair can quickly become tangled in the vacuum’s beater brush, and the collection bag cannot always contain all of the pet hair the vacuum cleaner picks up. This is why several vacuum cleaner manufacturers developed models that address the specific needs of pet owners. A pet or animal vacuum cleaner looks and acts like a standard vacuum, but also includes specialized accessories, such as a turbo brush or grooming tool. A pet vacuum also has a more powerful motor to generate stronger suction. Pet hair is notoriously difficult to extract from carpeting, so most pet vacuums use more intense “wind tunnel” or cyclonic technology. Pet vacuums come in a wide variety of designs, although canister and upright styles seem to be the most popular, followed by handheld mini-vacs. A hybrid upright canister vacuum, like the Shark TruePet, provides the additional suction power pet owners need, along with a beater brush with noticeably stiffer bristles. Although the heavier weight of the Shark TruePet may be a factor for some, it performs equally well on all common floor surfaces. In terms of sheer suction power, a pet vacuum with cyclonic action is hard to beat. The Dyson Animal upright has the right balance of power and maneuverability that many pet owners seek. One potential drawback with cyclonic pet vacuum cleaners, however, is their bagless design. Pet hair and dander can be blown back into the room once the bagless canister is opened for disposal. Pet owners with allergy issues may want to consider a model that includes a secured bag and a HEPA filter. Many robotic vacuums, such as the Eufy Robovac 11, can handle a moderate amount of pet hair, flea dust and dander, but they often lack the suction power of canister vacuums. Pet owners with robotic vacuum cleaners should be prepared to clean out the unit’s collection tray more often and spend time removing any hairs that collect on the agitator brushes. Clogs and tangles can lead to poor performance. One element that separates a pet or animal vacuum from its traditional counterpart is the beater brush. Because pet hair can become hopelessly entangled on a standard beater brush, manufacturers have created special agitators with stiffer and deeper bristles. The surface of a pet vacuum beater brush is also smoother, making it easier to rinse clean between uses. If large canister or upright vacuums are too bulky for the job, many pet owners also keep a handheld vacuum on hand for spot cleaning. Miniature models like the cordless Bissell Pet Hair Eraser can reach remote areas and crevices that tend to collect pet hair. Unlike a standard handheld vacuum cleaner, a pet mini-vac may also include a powered agitator to remove more hair from carpeting, along with an improved filtration system. The designation “pet vacuum” refers more to a vacuum cleaner’s attachments and accessories than the vacuum cleaner itself. Placed side by side, pet vacuum cleaners and traditional vacuum cleaners are virtually identical. A pet vacuum is more likely to include powered attachments or an easy-to-clean beater brush. For pet owners with carpeted floors, a vacuuming accessory called a carpet rake can be especially helpful with removing embedded pet hair before vacuuming. A carpet rake can reach deep into carpet fibers, allowing pet owners to create easily manageable piles of hair. Consider it a comb for your carpets! When choosing an ideal indoor pet, one important consideration is the animal’s typical shedding pattern. Owners who bring a high shedding animal into the home should be prepared to vacuum almost daily. Low shedding breeds are best for homes with extensive carpeting. 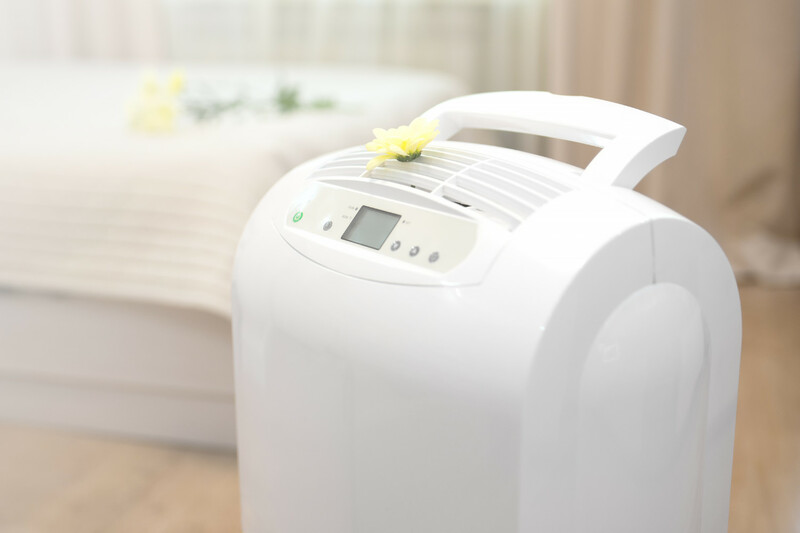 Even if the vacuum cleaner is not designated as a “pet vacuum,” it should have a HEPA filter to trap all of the flea dirt, dander and hairs a pet can generate throughout the day. Most cordless vacuum cleaners lack the suction power to be effective as pet vacuums, but they are suitable for spot cleaning “accidents” and litter spills. Some consumers may want to consider investing in a pet vacuum even if they do not own pets. These models are often more powerful than standard vacuum cleaners and include accessories not often included with traditional models. Bagless pet vacuum cleaners may be easier on the environment, but models with bags do a better job containing pet hair and dander. Most cyclonic vacuums are bagless by design, but many canister and upright vacuums still use disposable bags. Pet owners are not limited to specialized pet vacuum cleaners but should be prepared to spend more time removing hair and other pet-related debris from standard models. Clogs lead to reduced suction power, and beater brushes mired with pet hair can burn out the belts and motor. HEPA filters need to be replaced on a regular schedule in order to retain their efficiency. Pet owners with allergy issues may want to use protective gloves and a dust mask when performing this important task. For the Pet Vacuum category, we analyzed 134 of the most popular reviews including reviews from BestReviews, Trusted Reviews, New York Times Wirecutter, TechHive, PC Magazine, Gear Brain and more. The result is a ranking of the best Pet Vacuums.